Der Campingplatz « d’Arpheuilles » befindet sich im Departement Loire, in der Region Rhone-Alpes, nur einige Kilometer entfernt von der Auvergne und der Bourgogne. Der Platz liegt in den Loire-Schluchten… und mit den Füßen können Sie fast schon das Wasser berühren. Well situated by the Loire, our exceptional position offers a wonderful view. 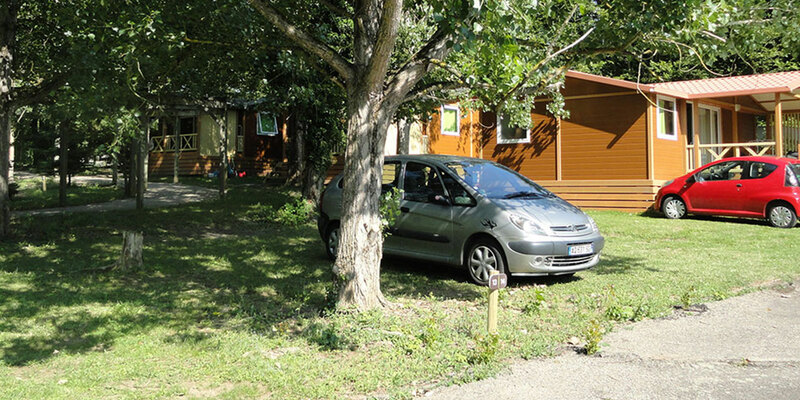 The Arpheuilles campsite is situated in the Rhône Alpes region (départment of Loire) in the Loire Gorge a few kilometers away from the Auvergne and the Bourgogne. 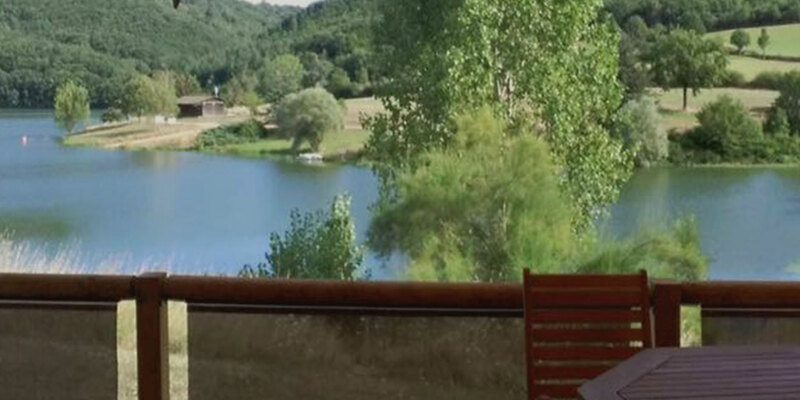 At the beginning of the south of France on the road to Ardèche and the Drôme Provençale, come and discover an unique natural site where the Loire flows into the Villerest Lake. 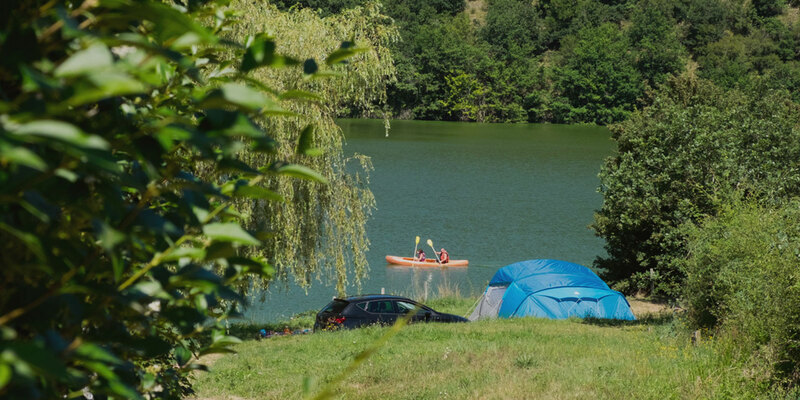 Near the city of Roanne this lake 32 kilomètres length lines the Arpheuilles campsite. The nature all around the campsite is nice and wild. 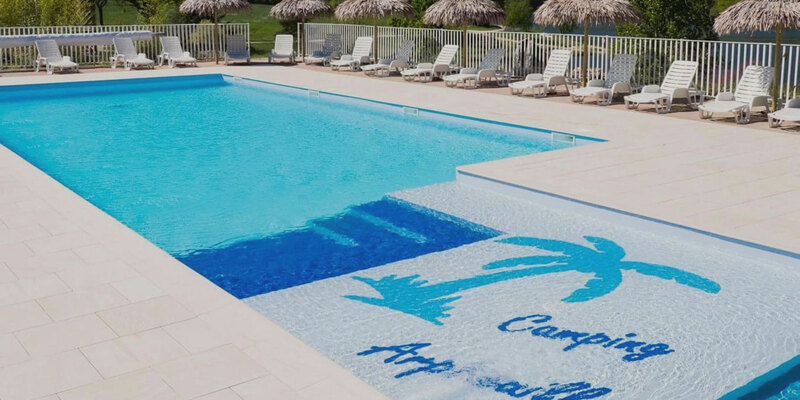 If you need a three stars stay, you’ve got very good quality outdoor accommodations such as : swimming pool, paddling pool, outdoor games, beach umbrella, deckchair, beach bar with drinks and ice-creams. 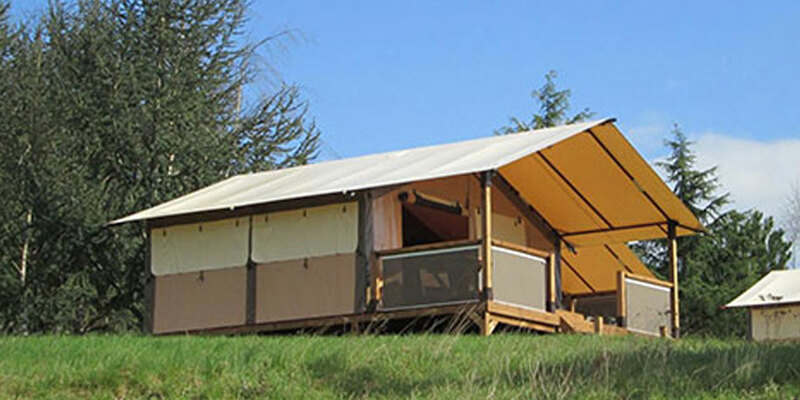 The campsite is quiet and family-owned. In the restaurant, you should eat home-made meals : take away meals or menus at the restaurant terrace. The bar is shaded by a wisteria and is open each day high season. From the campsite, you should walk or bike in the field around. With more than 6000 kilometers of tagged paths all over the department, you enjoy walking to recharge one’s batteries in a protected nature. You should find informations to buy some local products, to discover the region with its castles, churches and monuments. The Forez region is well-known for its local cheeses : fourme de Montbrison and numerous wines : côtes Roannaise and côtes du Forez. Quiet, rest and nature : that’s the campsite. Reservieren 2 Reservieren und bestätigen Sie Ihre Unterkunft auf unserem Campingplatz direkt am Wasser.